This is the book published to go with the exhibition by the same name that ran from 11 November 2016 to 13 March 2017 at National Gallery of Victoria, Melbourne. I'm not a David Hockney fan per se but I enjoy exploring styles from different artists. The first thing when I saw the book was how well it was produced. It's a large 328-page clothbound hardcover. The page edges are trimmed with the same orange colour as the word Hockney on the cover. This book collects the artist's work from the last decade. It's inspiring to see that there are close to 1,500 pieces in the book. That by itself is an astonishing amount considering that David Hockney is current 79 years old. This guy is incredible prolific. Even though there are a lot of artworks featured, not all are actually traditionally painted. There's a substantial number of pieces created on the iPhone and iPad. Those are the digital paintings and the style is of course very different from Hockney's traditional pieces. They would probably be considered amateurish had they not be created by Hockney. Or maybe they are, even if they are created by Hockney. Prior to going through the book, my only knowledge of Hockney was some portraits that he did. This book has both portraits and landscapes. There are some portraits painted with acrylic. Most of the landscape pieces are actually digital. For example, there's a Yosemite series of artworks drawn digitally. There are several essays and interviews included. They provide insight into the artist's career, his evolution and inspiration. 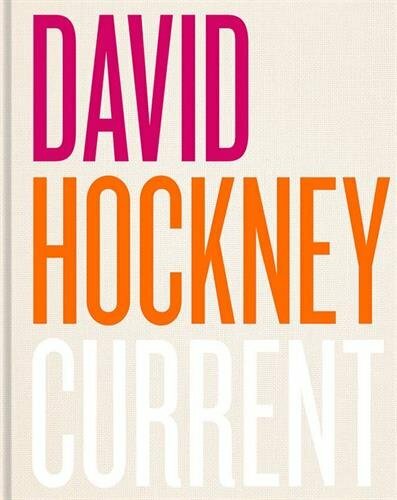 This book is a nice retrospect of David Hockney's work from the last decade. It could be a good one to add to your collection if you're a fan of his but I feel that the art may appeal to a smaller group of fans, so I would recommend, if possible, to flip through the pages before buying. Here's a video by the National Gallery of Victoria of David Hockney talking about the exhibition.